Hydrangea macrophylla 'Romance' flowering in Summer. It is a species of Hydrangea native to Japan. 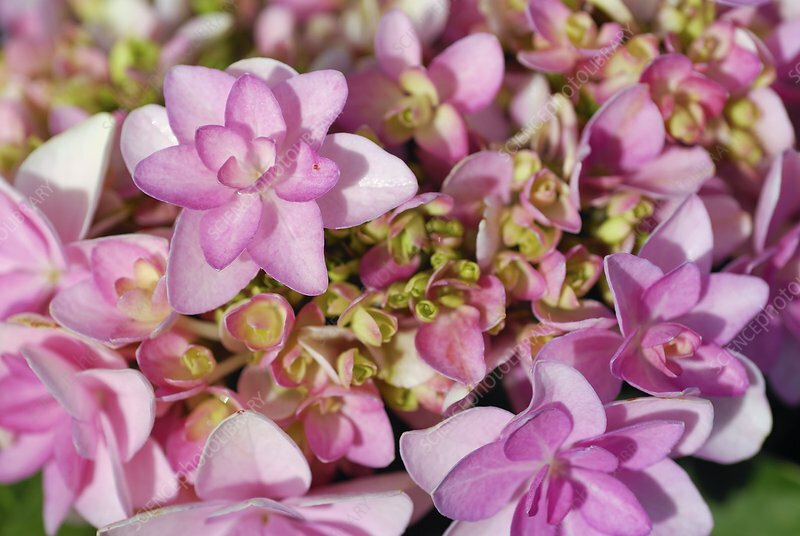 Common names include Bigleaf Hydrangea, French Hydrangea, Lacecap Hydrangea, Mophead Hydrangea, Penny Mac and Hortensia.